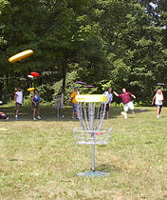 This is the true championship disc golf course in Central Ohio. 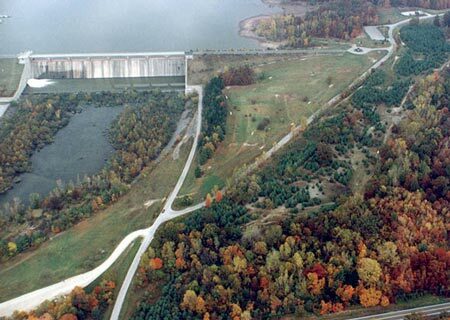 It was site of the early Columbus Opens and is currently the site of the BHMO PDGA National Tour Event. Designed by the late Brent Hambrick it has grown from 18 to 27 permanent holes. It features large concrete tee pads with double tee and pin placements on most holes. The front nine is open with many beautiful vistas. The back nine is through a pine forest and has many blind holes. The new nine (Lettered holes A-I located between 14 & 15) is a combination of both with a number of nice wooded holes with tight but distinct fairways. 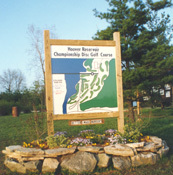 This course is well maintained by the Columbus Watershed and the Columbus Flyers. The Flyers hold a random draw doubles event on Sunday's at 11 am every other week at Hoover and Griggs. The addition of the new 9 holes A-I (located between holes 14 & 15) offers many new ways to play this course. You can park in the first lot and start on hole one or hole fifteen and play the original 18 or all 27. 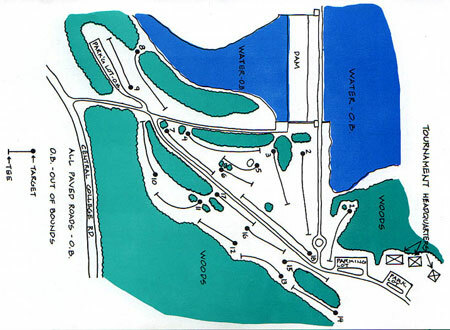 Or you can park in the middle lot and start on hole A and play just the new nine or start on hole 15 and play all 27. Or park in the back lot and start on hole H or I and play just the new nine or all 27 holes. Note Fall 2010: Holes 10-14 are closed for a major maintenance project. They will likely be closed until/Spring/Summer 2011. "accomplished disc golfer, designer of the Hoover Course, and a friend to many in the sport of disc golf"
On the northeast side of Columbus, exit I-270 ( from the north or south) onto Route 161 east (Dublin-Granville Rd) Go approx 1 mile, exit north onto Sunbury Rd; Go 1.3 miles to Central College Rd. (Duchess Gas Station) and turn right; take first left (.2 miles, at shelter house) into park. Turn right at the stop sign, go to the parking lot at the top or the hill.